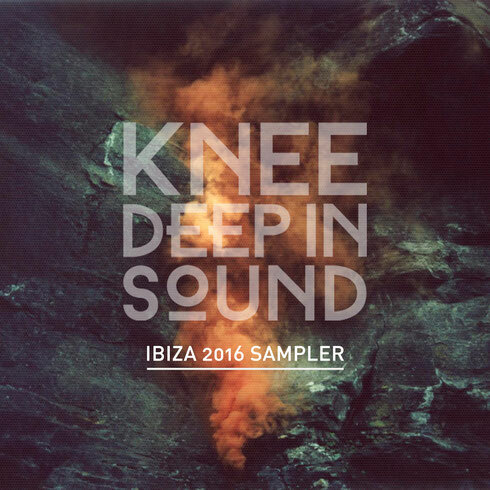 Hot Since 82’s Knee Deep In Sound recently released its ‘Ibiza 2016 Sampler’ featuring a cross-section of talent from across the globe. With recent material from the likes Sante, Leftwing & Kody and Booka Shade the imprint aims to establish itself as a driving force for contemporary house music. Here, the label focuses on the height of the Ibiza season with a new sampler shining light on some possibly up and coming talents. Across the package is a broad range of dancefloor focused cuts from Lewis Boardman’s dark and brooding ‘Lose Control’ and Adrian Hour’s loop-driven hypnotic workout ‘That’s It’ through to brighter house cuts like Dee Montero’s airy ‘Vedra’ and the percussive fuelled Red Tide ft. Illyus & Barrientos courtesy of Spencer K.
Further contributions come in the shape of Landmark’s smooth and melodic ‘Lost In The Club’ and Rafio Barros’ bass heavy, piano laden ‘Uhlop’, resulting in a package which possible covers the sonic spectrum of the White Isle.